We are very excited to announce that NSS Labs has released the results for their 2018 Advanced Endpoint Protection (AEP) test. NSS used a wide-ranging set of attacks to evaluate vendor products and systems with an emphasis on prevention. As part of the AEP test, products were configured to mimic a standard enterprise environment by applying typical applications, such as exclusion policies and tuning requirements. The goal was a configuration to ensure optimal security effectiveness, again, as an average customer would. Traps has the lowest total cost of ownership (TCO) among all 20 vendors tested. These are fantastic results. The NSS Labs Advanced Endpoint Protection test is tremendous validation that we provide best-in-class endpoint protection with Traps and speaks to our entire Security Operating Platform’s ability not only to detect but to automatically prevent breaches. You can start using this now. We’ve acquired the redistribution rights, so you can distribute the report directly to customers. 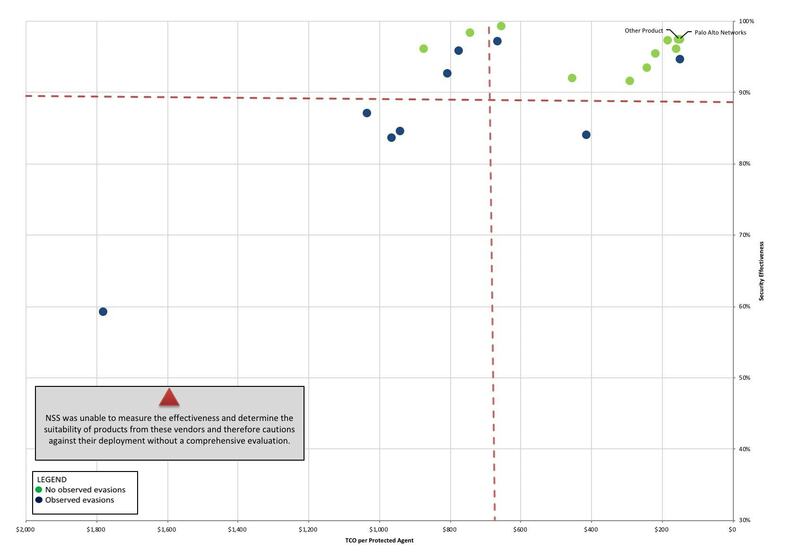 The report includes a Security Value Map (SVM) that graphically compares various vendors’ performance on the test.